Today, we’re launching a new and improved method for matchmaking players who are likely to have a good experience playing together. For more detail click here. Wingman was the most popular Operation Hydra Event, and will remain available for players with a few changes. Wingman matchmaking will feature community favorite Wingman maps from Operation Hydra, and players will now be able to select individual maps instead of having one randomly selected. 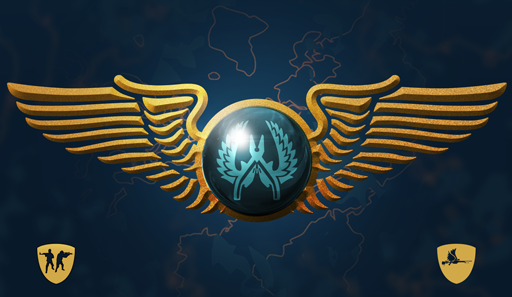 Additionally, players will now have a Wingman skill group that will be used exclusively when matchmaking in Wingman. With the War Games format, players were able to select their desired game mode and could select a new experience after a few rounds. We’re keeping the War Games format, and folding in some of CS:GO’s alternative game modes into that category. In the War Games tab, players will be able to select Arms Race, Demolition, or the most popular War Game of Operation Hydra, Flying Scoutsman! Today we’re adding Agency to the Competitive map pool, and making some additional adjustments. The Competitive Matchmaking map pool previously contained every map in CS:GO, making it difficult for new or recently updated maps to stand out among the crowd of available options and generating poor matches as a result. To address these problems, the least-played maps will no longer be featured in official Competitive Matchmaking. Over time, promising new or updated maps will enter the map pool, and less played maps will continue to be removed. To give players’ favorite maps a better chance of winning the vote, maps in the Casual game mode have been redistributed into new groups based on overall playtime. Some of the least-played maps have been removed from the pool, and some new maps have been added: Austria, Shipped, Agency, and Insertion. As with the Competitive Matchmaking map pool, the Casual map pool and map groups will be updated over time.